Many people can’t leave the house without a few coats of mascara, or a swipe of lipstick, but for me, it’s all about the blush. There’s something magical about what a pop of blush can do to a woman’s complexion, taking you from gaunt to glowing in a sweep of the brush. 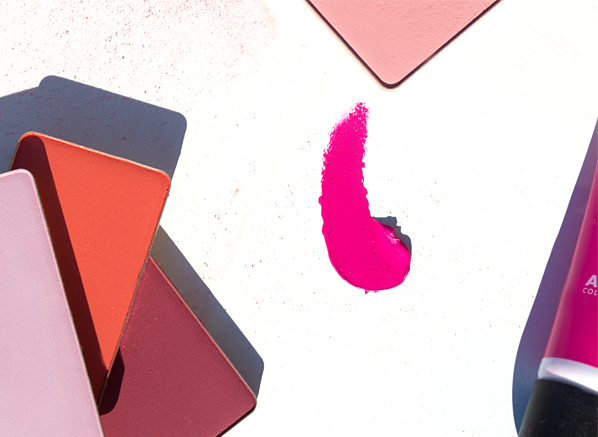 When it comes to blush, shade choice is everything. Get it right and you’ll give your complexion a radiant, healthy glow; get it wrong and it can have the opposite effect. The most important thing to bear in mind when picking a blush is that the colour should mimic the natural flush of your cheeks. A tip for discovering this perfect hue is by looking at the inside of your lip or at the colour of your fingertips. Fair and light skin will look the best when sporting a pink, however, the type of pink depends completely on your undertone. Those with a pink undertone will suit a more blue-toned blush, so shade B202 – Blue Pink will be the perfect option. If you have fair or light skin with more of a yellow undertone, opt for something that’s a little warmer. The coral hue of shade B206 – Peachy Pink couldn’t be a better fit as it’ll complement the warmth of your complexion. Most medium and olive skin tones have a natural radiance to their complexion, so their blush choice need not be dramatic. 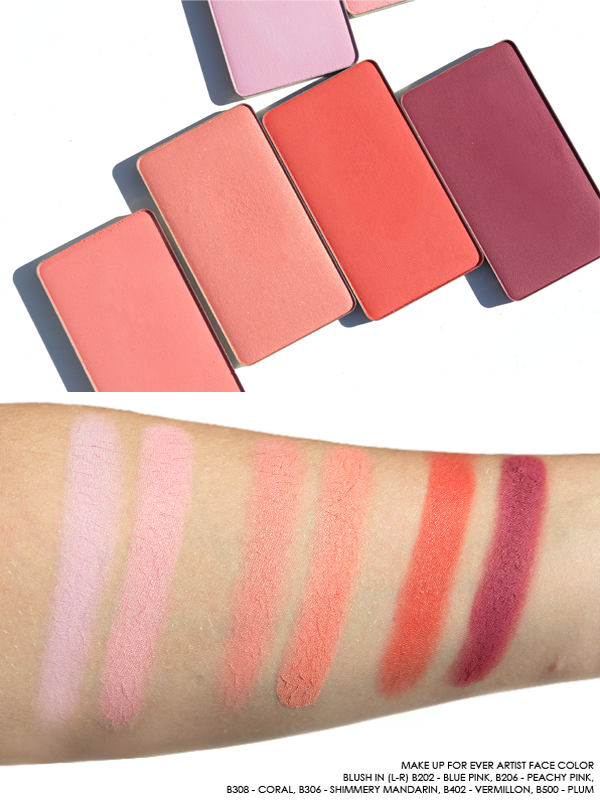 However, that being said most medium skin tones can wear almost any blush shade they like (lucky things)! Avoid shades that are dulling or cold, instead choose between warm peachy hues like B-308 Coral, or the orange tone of B-306 – Shimmery Mandarin. Dark skin tones can go bold when it comes to blush! But, there’s one important thing to remember when picking a blush for a deep complexion: stay warm. Picking a shade that is too cool will result in a rather ashy looking complexion. Terracotta, tangerine, and purple hues are the ones to look out for as they’re beautiful when paired with a darker complexion. Try a burnt red like B402 – Vermillon or mauve-toned purple like B500 – Plum. • Smile! When you smile the apples of your cheek become more prominent. However, remember not to go too low, because the apples of your cheeks will drop when you’re not smiling! • Place two fingers on the side of your nose, your blush should start from there and outward. • Don’t go lower than your cheekbones! 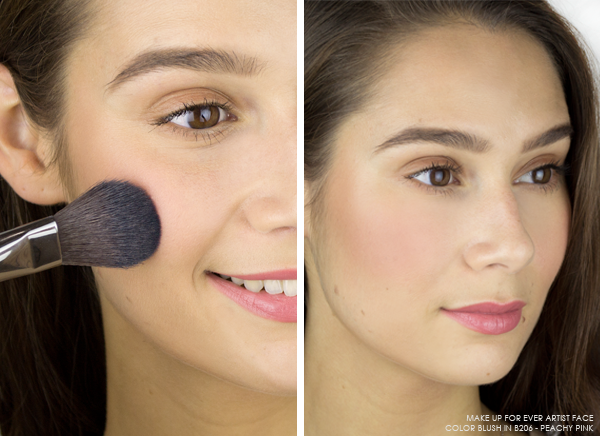 Applying blush just above the cheekbone will lift the features. 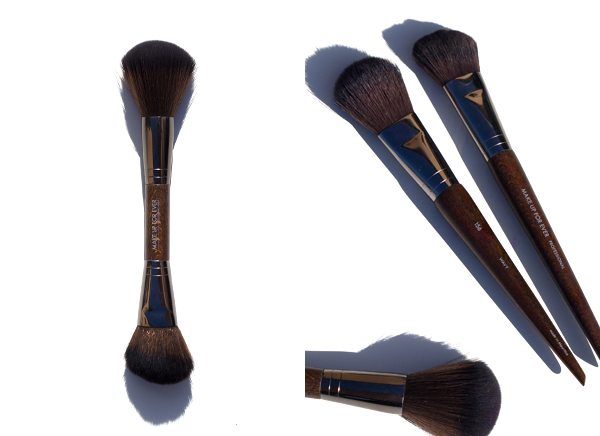 • MAKE UP FOR EVER Double Ended Sculpting Brush 158 – The one to choose if you’re tight on space, the Double Ended Sculpting Brush is ideal for blush, highlight, and bronzer application. • MAKE UP FOR EVER Flat Round Blush Brush 156 – Perfect for all types of blush application, the Flat Round Blush Brush 156 has soft, fluffy bristles that work great with loose and compact powders. 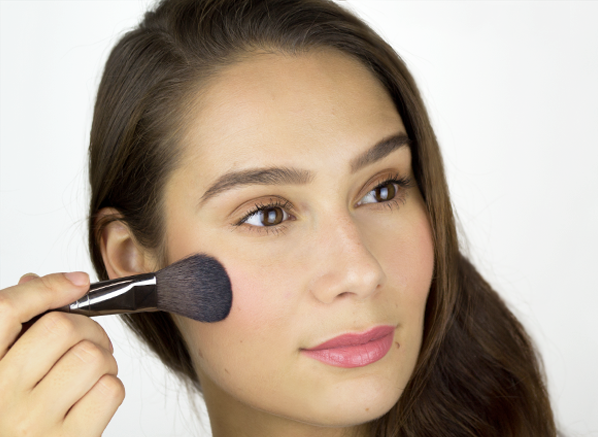 • MAKE UP FOR EVER Precision Blush Brush 150 – A little more firm than the others listed, the Precision Blush Brush 150 will allow you to apply with more accuracy. • MAKE UP FOR EVER Aqua XL Color Paint – Who doesn’t love a multi-purpose product? The Aqua XL Color Paints make for high-pigment blushers, which are waterproof too! • Daniel Sandler Watercolor Blusher – A cult product through and through, the Watercolor Blushers by Daniel Sandler are silicone-based, which allows for easy application and a formula that lasts all-day. This entry was posted on Friday, August 25th, 2017 at 10:04 am and is filed under Make-up, New products, Swatches, Tried & Tested. You can follow any responses to this entry through the RSS 2.0 feed. You can skip to the end and leave a response. Pinging is currently not allowed.